Amaikha Tifinagh Regular is the first release of the Amaikha font family and you can download it for FREE! 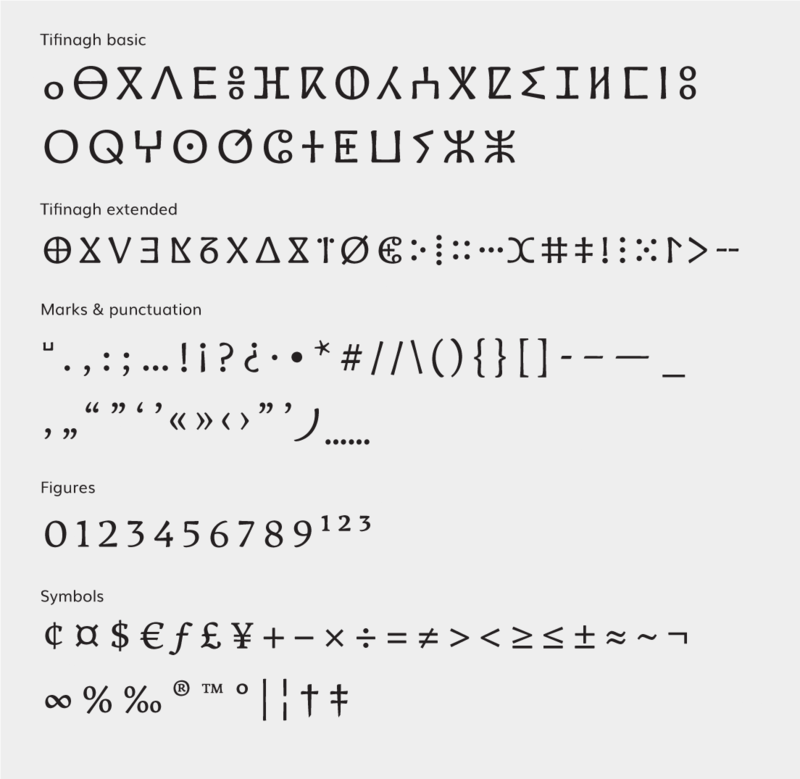 It is meant to offer a high quality choice for editorial and web purposes targeted at Tamazight readers, a context in which the scarcity of quality text fonts for Tifinagh is remarkable. Amaikha Tifinagh is part of the wider Amaikha Multiscript project (in progress) started during the MA in Typeface Design in Reading. It will comprise Latin, Greek, Cyrillic, Arabic and Tifinagh writing systems. 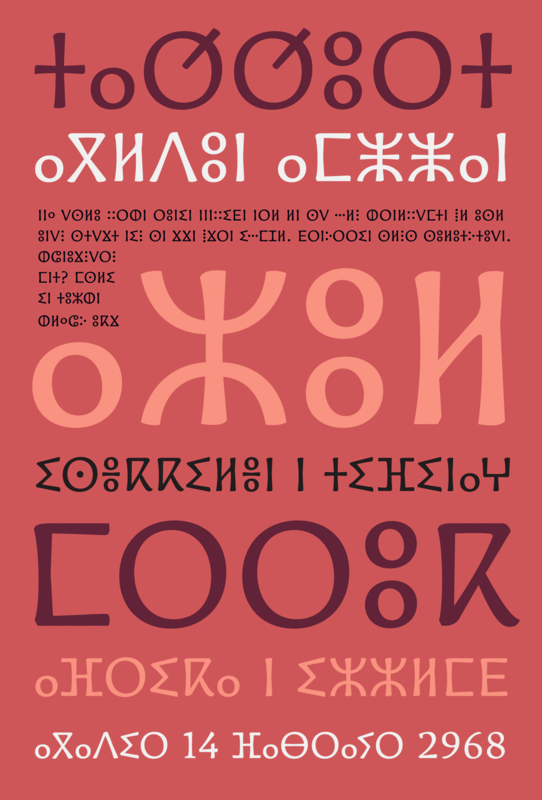 The Tifinagh script was also the subject of my dissertation. 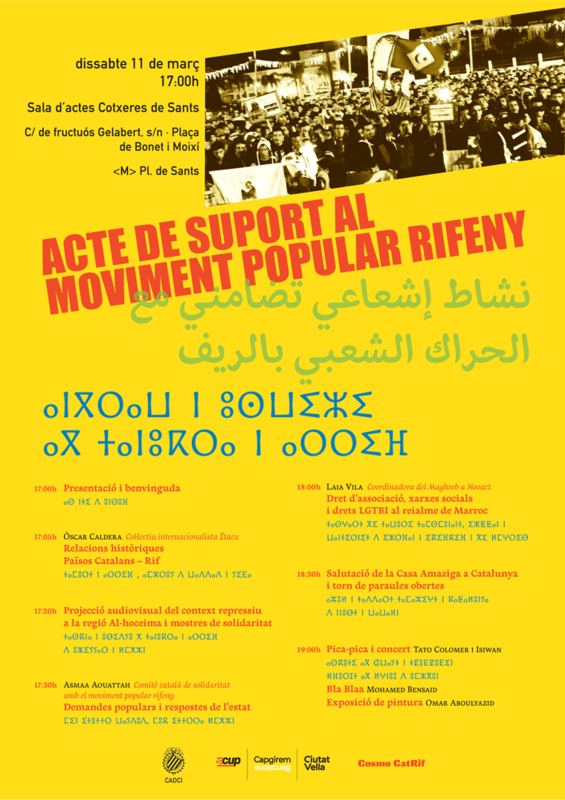 The research done concerning the script itself and the Amazigh culture, as well as all the visual material found was an excellent foundation that became essential to asses the accuracy and consistency of the letter forms. Amaikha Tifinagh Regular can be freely downloaded (although a donation would be most welcome if you can afford it :-). Amaikha Tifinagh family will be soon completed with 6 new weights, from black to extra-light versions, becoming the first Tifinagh typeface with such a wide range of variants, so stay tuned! 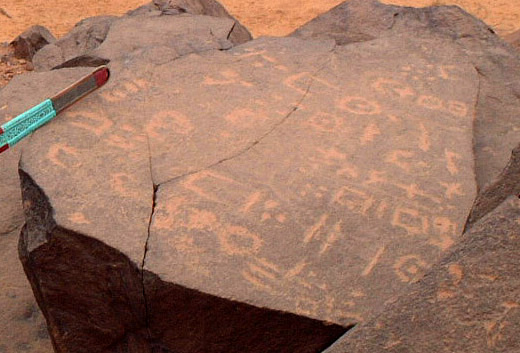 Tifinagh inscription in Essouk (Mali). Source: wikicommons. Author: Taguelmoust. Amaikha Tifinagh will be completed with 6 more weights. Stay tuned! 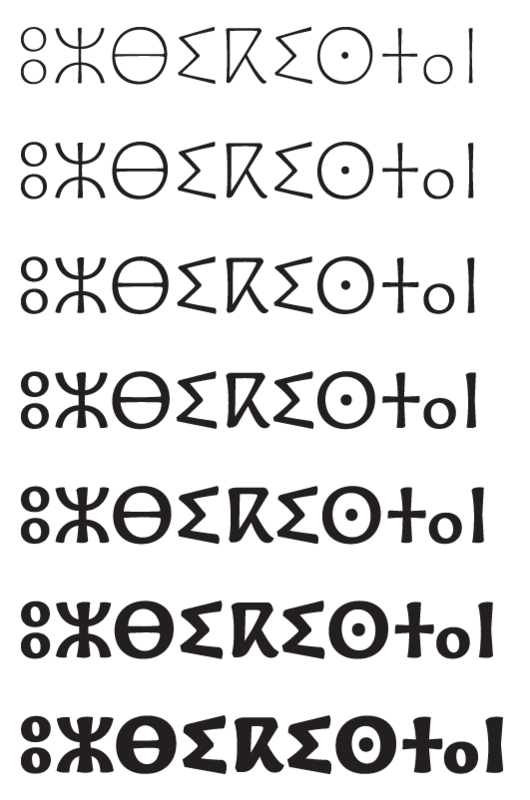 Download Amaikha Tifinagh Regular font for free here or use the form below to make a donation. By downloading or installing the Font Software You agree on all the terms specified within the End User Licence Agreement. You will recieve details of purchase along with the attached module in your PayPal email account. If you do not have a Paypal account, please click the option “Don’t have a Paypal account?” in the Paypal page in order to pay with your credit card. If you would rather pay by bank transfer, please contact us for further details on this option. If you have issues or questions during installation or use, please contact us.